"the volunteers help to make a fabulous week even better"
9Some of the work at EPEW is done behind the scenes before the workshop, but the biggest portion is done at the workshop by our fantastic volunteers. 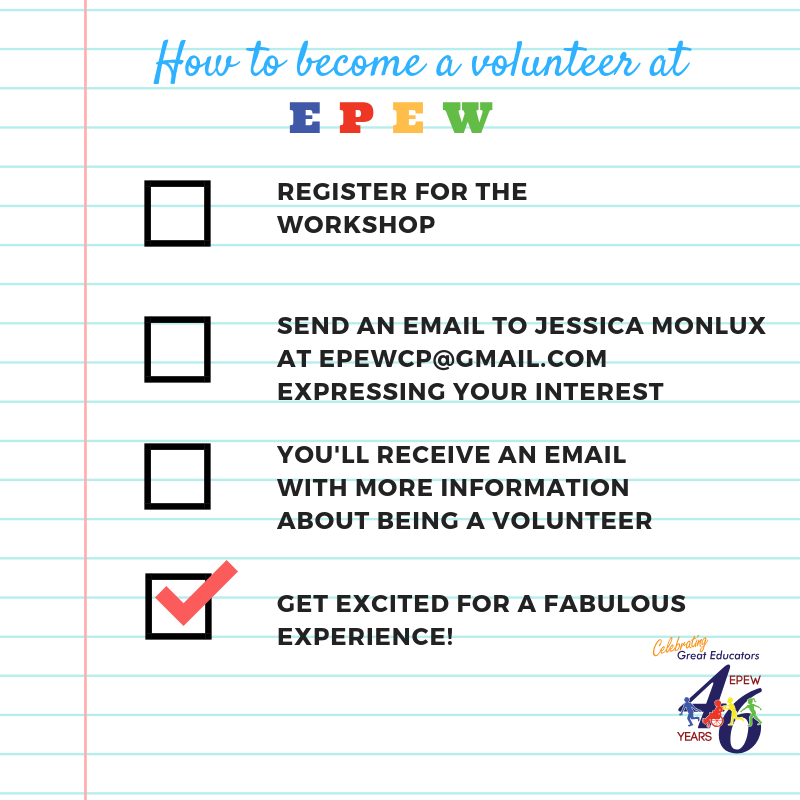 Volunteering at EPEW is an excellent way to meet new people, connect with our presenters in a unique way, and also get an inside look at the workshop all while still participating and attending sessions. 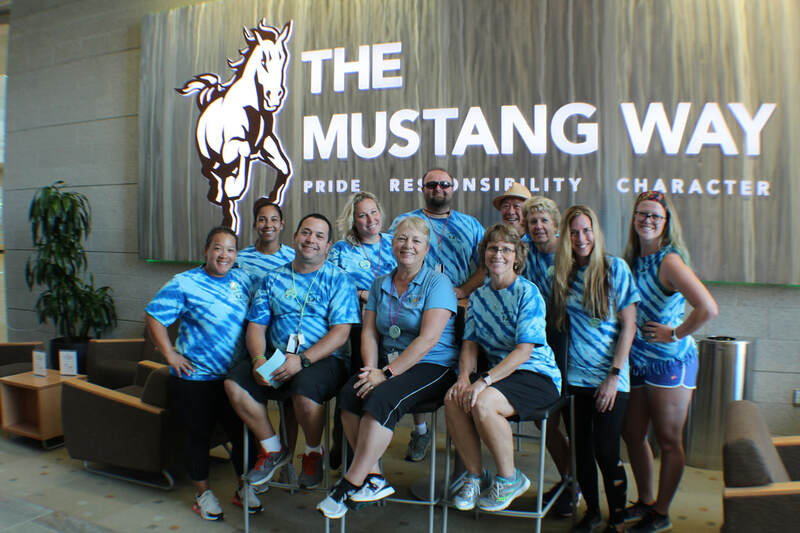 Volunteers at the EPEW receive priority registration, a cool tie-dye t-shirt, get two paid meals, including a meet and greet with the presenters on Tuesday night. *This 2018 video gives you some more insight into being a volunteer. The Volunteer Coordinator changes each year.